Yorkshire Post analysis: Are region's voters getting what they ordered from MPs on Brexit? Did Yorkshire's MPs deliver what voters ordered? Picture by Getty images. This week has been one of the most decisive yet in the Brexit process, and Yorkshire’s MPs have been pivotal in shaping the debate. On Tuesday, parliament was finally given a say on Theresa May’s plans and despite the Government’s best efforts they suffered the worst defeat in Britain’s democratic history - losing by 230. The region’s 54 MPs overwhelmingly rejected the deal with 41 voting against and just twelve backing Mrs May. Eleven of those were Tories, with just one Labour MP - Rother Valley’s Sir Kevin Barron - defying his party leadership to support the agreement. Sir Kevin explained his rationale for backing Mrs May’s Brexit deal, warning that the referendum result must be respected or the party will face “dire” consequences at the ballot box. He said the Prime Minister’s Withdrawal Agreement was the only option on the table that “truly enacts the promises that I made to my constituents and avoids the horror of a no-deal Brexit”. And in a swipe at MPs campaigning for a second referendum if Mrs May’s deal falls, the veteran MP who backed Remain in 2016 said it “truly saddens me that so many in the Commons are trying to overturn the decision”. Writing in The Times, Sir Kevin, who has previously said he was undecided about which way he would vote, said he promised he would not “disrespect my constituents by needlessly trying to block Brexit” in the 2017 general election. The 41 opponents were a mix of Labour MPs, one independent - Sheffield Hallam’s Jared O’Mara - and five Tory rebels, including Tory MP for York Outer, Julian Sturdy. He said his change of heart was due to concerns over the Northern Irish backstop element of the agreement, which he said, if implemented at the end of the transition period in 2020 place “our country at a significant disadvantage in negotiations on a comprehensive trade agreement with the EU”. Speaking in the House during the five-day Brexit debate, he told colleagues: “I hoped that the Prime Minister would be able to present an agreement to the House after the pause with a formal guarantee and a mechanism that would give us power to leave the backstop. So as the Commons drama unfolds, are Yorkshire’s voters getting what they ordered from Brexit? In 2016 the county opted to leave the EU by a bigger margin than the country as a whole - with 58 per cent of the region’s voters backing Brexit. According to estimates from the House of Commons, only 10 Yorkshire constituencies opted to remain, mainly those around the cities of Leeds, York, and Sheffield. Elsewhere in the county, there were some of the highest leave results in the UK, with 71 per cent of voters in Barnsley East and Great Grimsby opting for out and 73 per cent in Hull East. The areas’ three Labour MPs, Stephanie Peacock, Melanie Onn and Karl Turner - all voted against Mrs May’s deal and oppose a no-deal Brexit. They believe the current proposals don’t protect workers’ rights or uphold environment standards and are behind the Labour leader’s demands for a general election, which would, of course, mean delaying Brexit - something their Eurosceptic constituents might not like. Also among those who voted down the deal are a handful of MPs - again, all Labour - who have publically thrown their weight behind a second EU referendum, or as campaigners refer to it, a People’s Vote. They include some with significant pro-Brexit majorities, like Angela Smith whose Penistone and Stocksbridge patch voted 61 per cent to leave and Wakefield MP Mary Creagh, whose leave majority was 63 per cent. 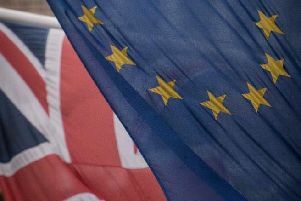 Labour MP Rachel Reeves’ Leeds West constituency backed Brexit by 53 per cent, but she is still a committed remainer and has also thrown her weight behind a fresh poll. On the Tory side, many of the rebels believe May’s deal cedes too much control to Europe and would prefer what they see as a clean exit rather than a compromise. Brexiteer Philip Davies, whose Shipley constituency voted 52 per cent to exit the bloc, is pursuing a hard Brexit despite the slim leave margin in his area. Speaking to The Yorkshire Post, he explains: “The whole thing is a complete farce and I suspect the general public are sick of hearing about Brexit, sick of reading about it, sick of seeing nothing else on the news and they are sick of politicians as well, who are, in effect, trying to thwart the decision they made in the referendum. I think most people can’t understand why they were asked, they gave the result and now people should be cracking on with it. On Monday the Prime Minister will come back to the Commons to set out her Brexit plan B and over the coming weeks MPs will get another chance to make their voices hear through a series of votes. The options on offer will likely include a second referendum, a softer Brexit and the chance to rule out no deal. With so many options now on the table the binary choice between leave and remain seems like a distant memory, but it is still to be seen whether any of this will truly deliver on the referendum result.